Enjoy the beauty of Egypt and Jordan in a unique experience takes you back through history in 7 days, starting from Cairo with the variety of it's ancient and Islamic sightseeings before heading to Jordan to see the legendary 'red-rose city' of Petra and other sights. Day 01: Arrival At Cairo International Airport – "Welcome To Egypt" Cairo Overnight. Upon arrival to Cairo International Airport, you will be met by our English-speaking representative who will help and assist you in all formalities including getting the Entry Visa and bags assistance, then transfer you to your hotel for check in and overnight in Cairo. 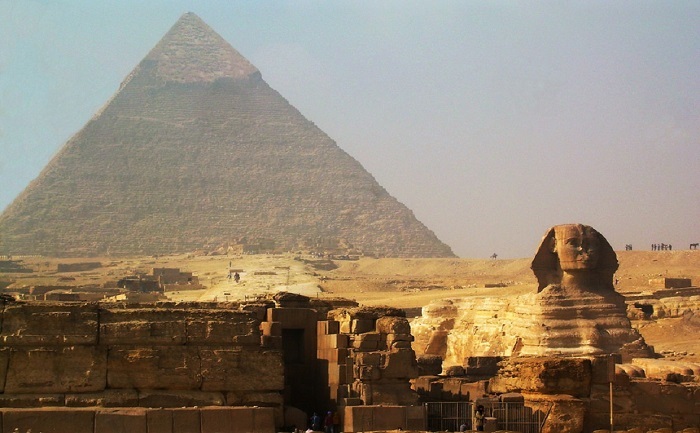 Day 02 : Visit Pyramids - Memphis And sakkara - Cairo Overnight. You will have your breakfast in your hotel in Cairo , Then you will be met by our English Egyptologist tour guide to start your day tour by visiting Pyramids of Giza "Khufu, Khafre & Menkaure", where the greatness has been embodied in three pyramids with a limestone statue of Sphinx guarding the whole area. Then proceed to one of our local restaurant to have your lunch. After that you will proceed to the city of Sakkara, where you will be so excited by exploring The Step Pyramid of king Djoser. This pyramid has a very nice story, when king Djoser asked his chief Architect Imhotep to create something different, so that the king could be buried at. 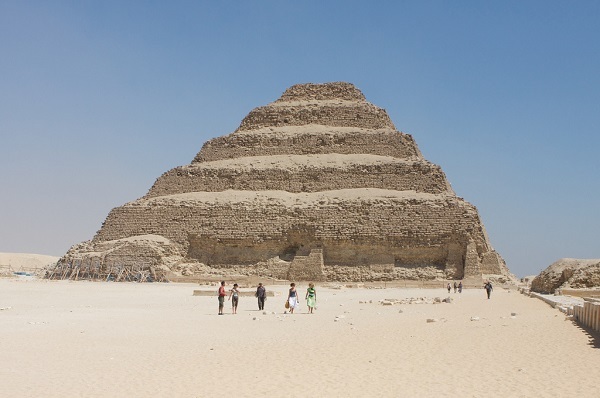 As a result the well-known Architect creates the Step pyramid, which surprised the king so much since it was considered to be a new achievement in this period. Finally we will drive towards Memphis, where you can visit The Open Air Museum including the marvelous monuments of king Ramses II. 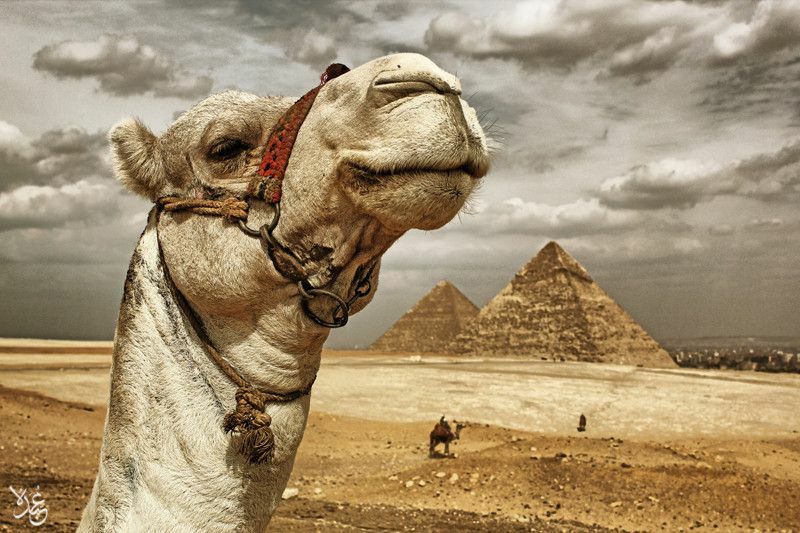 After finishing your day tour, you will be transferred to your hotel in Cairo for accommodation & overnight. Breakfast at your hotel. 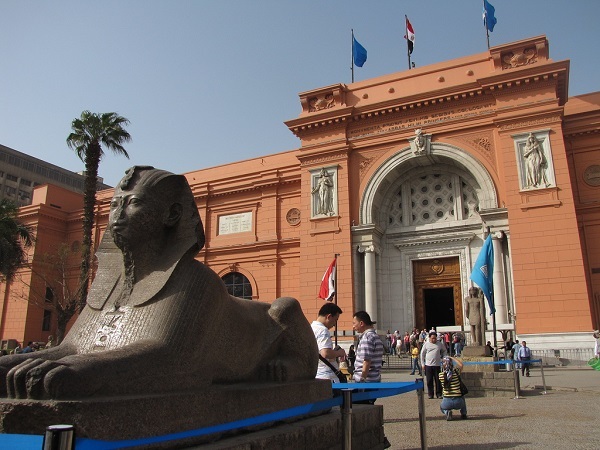 Then you will be met by our English Egyptologist tour guide to start your day tour by visiting The Egyptian Museum, which is considered to be one of the most important museums in the world ,housing the Pharaonic monuments including those of the well-known king Tutankhamen. Also, you will have the chance to visit the Mummies’ Room which is a wonderful chance that you cannot imagine. 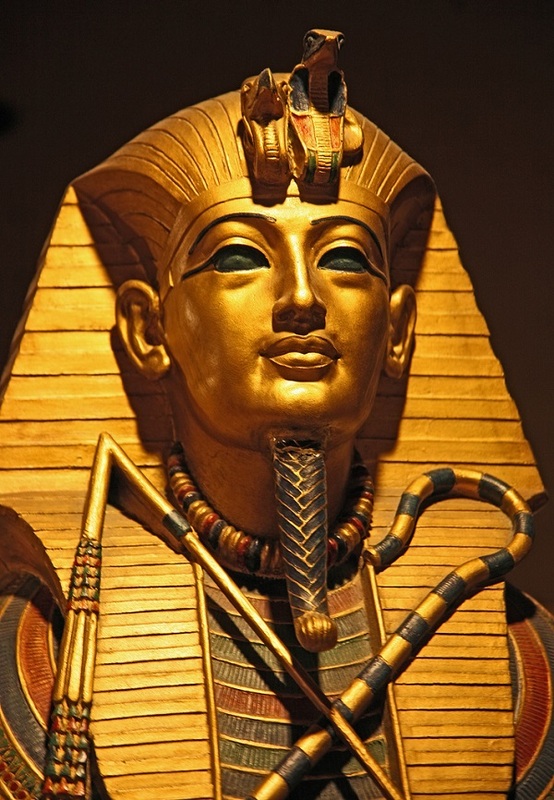 You will have the good chance to see the great real pharaohs in their full body. 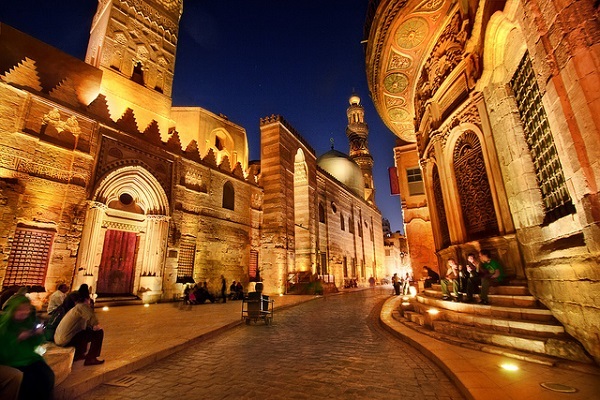 Then proceed to Old Cairo area, where you can visit Citadel of Salah El-Din, which played as a very important role in protecting Egypt, as it was considered the seat of power for more than 700 years. Then you will have your Lunch in a local Egyptian restaurant. Then you will start your tour to visit Islamic and Coptic Cairo.You will explore the Islamic history and the other Coptic one. You will visit Ahmed Ibn Tulun Mosque; It is the oldest intact, functioning Islamic monument in Cairo. It also survives as a rare example of the era and architecture of the classical period of Islam, i.e. the ninth and tenth centuries, for it was dominant in the Islamic world. Then proceed to the Mosque of Sultan Hassan, which considered stylistically the most compact and unified of all Cairo monuments. The building was constructed for Sultan Hassan bin Mohammad bin Qala'oun in 1256 AD as a mosque and religious school for all sects. Then you will visit El Refa’i Mosque, it is separated from the mosque of Sultan Hassan by a pedestrian street. After that, you will start your Coptic Tour, you will start with the Hanging Church, (The Church of the Virgin Mary), built into the walls of the Water Gate of the Roman fortress. It is possibly the oldest Christian church in Egypt, dating to around the 4th Century. Then you will visit Church of St. Sergius, (Abu Serga), which legend has it is built atop one of the sites where the Holy Family rested on their flight from Herod. Continuing on this path brings one first to the Ben Ezra Synagogue, which is Egypt's oldest and dates to the 9th Century. Then we will accompany you to Khan El Khalili, which consider as one of the stunning bazaars in the Middle East. After finishing this fantastic and memorable tour, you will be transferred back to your hotel for overnight. Day 04: Fly Cairo - Amman - Arrival at Amman Airport "Welcome To Jordan" Amman ON. Breakfast at your hotel in Cairo , Then our representative will transfer you to Cairo International Airport to fly from Cairo to Amman. Upon arrival to Queen Alia International Airport, you will be met with our English-speaking representative who will help and assist you in all formalities including getting the Entry Visa and bags assistance , Then transfer you to your hotel for check in and overnight in Amman. After breakfast drive to Mount Nebo, the place where Prophet Moses gazed at the promised land before he died and his alleged burial place. 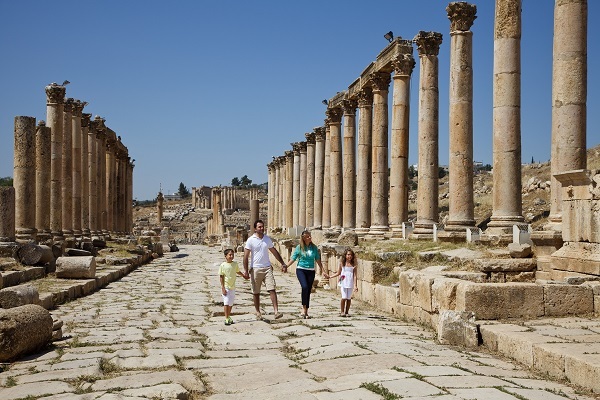 You will visit the old Monastery and overlook the Jordan Valley, Dead Sea, Jericho and Jerusalem. After we proceed to Madaba, where you will find the famous mosaic 6th century map of Palestine in St. George’s Church. Afterward we drive to the Dead Sea, Being the lowest point on earth and filled with a variety of minerals with medicinal properties the site has developed into a health spa-like hotspot. The mineral concentration in the mud is used for therapeutic and beauty treatments. 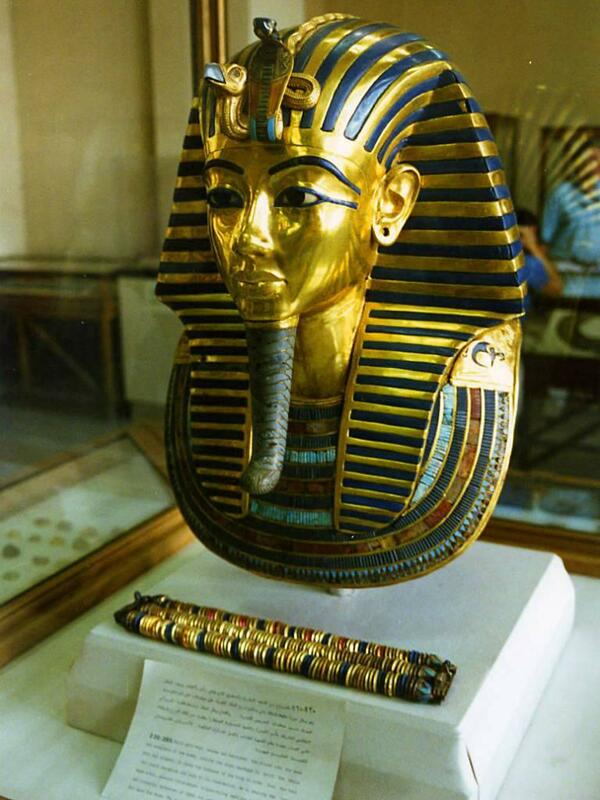 Queen Cleopatra and Sheba both were said to have known the value of the site and used it. Due too high salinity the water supports no form of life hence the name the Dead Sea and floating is very easy. Be sure to prepare to swim and relax in the mud before heading back to Amman. Our Driver will pick you up by our air conditioned vehicle and drive about 2.5 hours to the Rose Red City of Petra, Jordan’s largest attraction. First started in the 6 th century B.C. 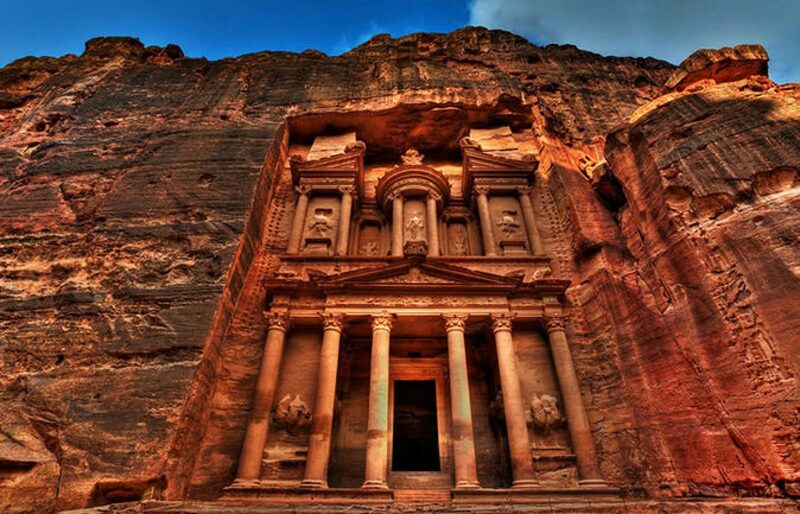 by Nabataean Arabs the city boasts beautiful facades carved directly into the walls of the mountain sides. Arriving at the visitor’s center it’s a 700 meter walk to the Siq entrance which is an impressive 1200 meter long gorge of a kaleidoscope of colors the towers more than 80 meters above you. As you exit the chasm you’re instantly transfixed by the beauty of Petra, chosen as one of the New World Wonders, the place speaks for itself. After your time at Petra you make your way back through the Siq before returning to Amman. Prices are quoted in US Dollars per person per trip except during Christmas, New Year & Easter holidays. Do not hesitate to contact us. We are an expert team and we are happy to talk to you. Luxor and Aswan Travel specialized in providing professional advice on planning Travel Packages, Nile Cruises and Day Tours in Egypt. © 2018 Copyright to Luxor and Aswan Travel.